Venaranda Bankundiye was attracted by the big crowd of students at University of Rwanda-Huye campus and opened a restaurant with a well searched name “Macrobiotic” in 2007. Unique with its traditional food, the restaurant quickly attracted a number of students, and he realized that the business was promising. “I once registered more than 200 subscribers,” Bankundiye told KT Press. Though there were a big number of restaurants targeting UR students, Macrobiotic was among the top most admired, but it closed its doors in January this year following the decrease in clients since it could hardly get fifty clients a day. 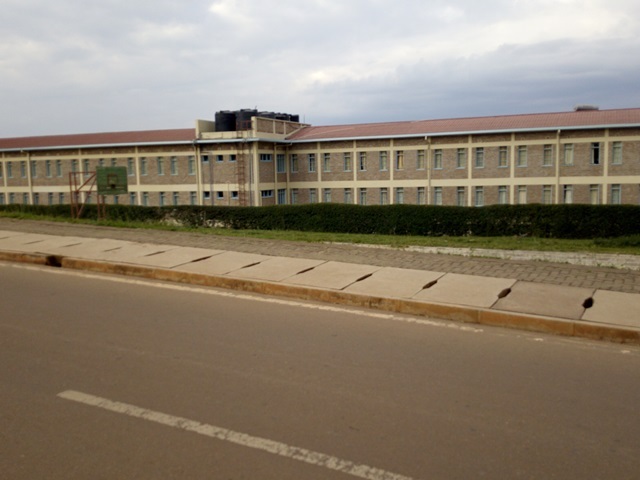 In 2013, Rwanda Ministry of Education decided to merge all public universities and higher learning institution to create one university, the University of Rwanda (UR). Since its inception, improvised changes never ceased to occur, affecting business in cities hosting campuses. Last year for example, UR decided to move colleges from campus to campus and this affected particularly Huye Campus which saw the number of its students cut down from around 10,000 to 5,500 according to Dr. Charles Muligande, Deputy Vice Chancellor in Charge of Institutional Advancement. Since almost all businesses in Huye were dependent on Huye Campus, relocating students to other campuses had immediate effect on businesses. “I could no longer even afford paying the rent, but I kept insisting until I was fired by the landlord,” Bankundiye told KT Press. On the other hand, her landlord, Sixte Ugiribanga, says he had been working with Bankundiye for the last 12 years and she was paying him very well, but the crisis promptly hit her after UR cut down the number of students at Huye Campus to almost a half. “She struggled until it was obvious to my eyes that she couldn’t make a living,” Ugiribanga said adding that he was urged to give up some few months she had not yet paid him so that she can vacate the house. Since the Macrobiotic Restaurant closed 8 months ago, no new investor has taken it over yet. Bankundiye plans to relocate the business to Madina, a slum in the same location near the campus main entrance. At Madina, there used to be around a dozen restaurants and milk bars, but when we visited at around noon, only one was open. 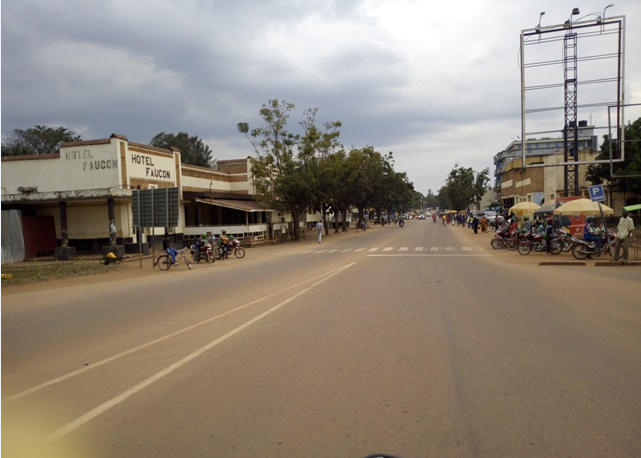 At such a time in 2012, Huye town, especially Huye Campus neighborhood from the Center to Tumba Suburb, was crowded with students going for lunch, others leaving to Kigali for the weekend. However, when you walk from the Center to Tumba through Mukoni, there is little movement. “At this time ten years ago, the movement of students was intense, with some going to the restaurants and others to town and other businesses,” Eric Ndayambaje, cleaner at Huye Campus said. Ndayambaje recalls that the town used to be vibrant throughout the year, even during holidays because students call Huye home until they graduate. “The campus had made Huye a vibrant city, but nowadays, we are living in a cold city,” he said. 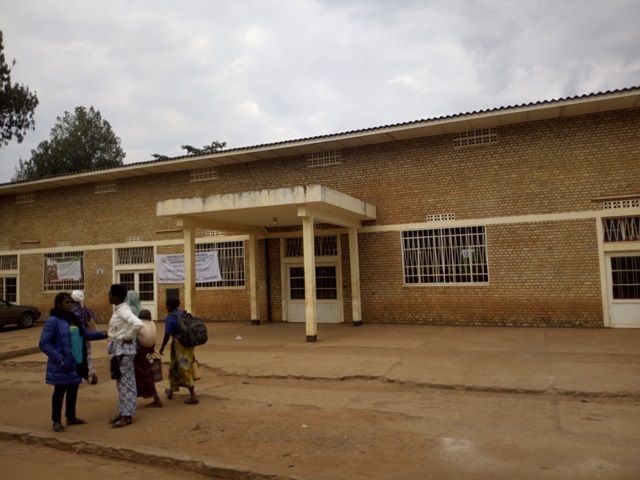 The decline in number of students affected Belgise Bagirimana, who runs a stationary shop at Barthos Hotel, a facility at the gate of Huye Campus. He used to make Rwf 70,000 a day, but he can hardly make Rwf 20,000 today. “I had three employees for this service, but I was obliged to dismiss all of them because there is no more business,” Bagirimana said. For Alex Munanira, Huye Campus Students Union President, UR/Huye Campus together with the students union have provided enough services within the campus, which deter even the few students at campus to go out. “At the campus we have restaurants and this helps monitoring them and negotiating fair prices,” he said revealing that for example more than 70% of students currently prefer having their meals at Campus. 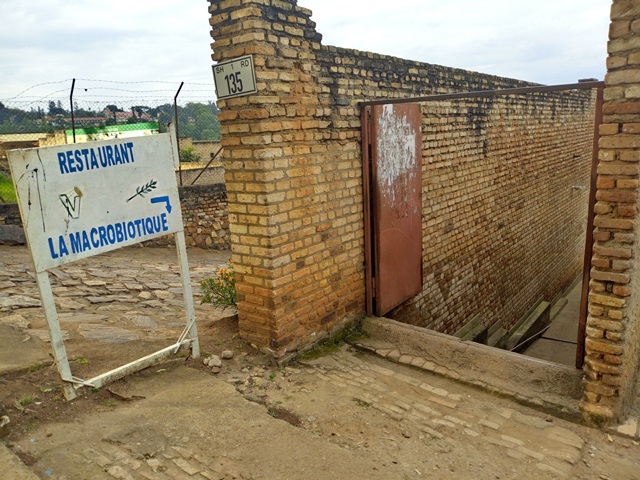 While the restaurants outside campus charge a total Rwf 30,000 per month on average for two meals a day-lunch and dinner, the campus restaurant charges Rwf 25,000 for three meals-breakfast, lunch and dinner, which is an advantage for students. 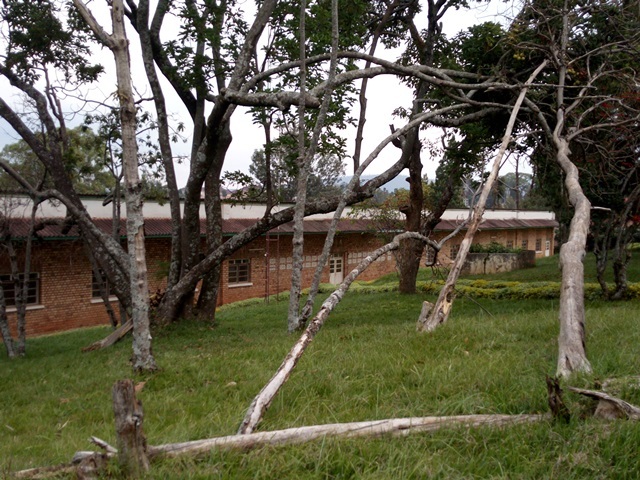 The campus is dominated by government sponsored students with monthly stipend of Rwf25,000. At UR restaurant, students who cannot find side income to have enough for the restaurant most times skip breakfast which reduces the cost to Rwf15,000. However, there are not only restaurants that were affected, hostel owners also saw a big decline in the number of clients. Gone are days where hostels at UR-Huye Campus would cause a headache to the students. When you reach out to any of the hostels that were built outside the university during the high demand period, you get to understand that times change quickly. Musa Maniraho, a resident of Huye with a hostel in Madina neighborhood that has capacity to host 150 people is now complaining that students deserted it. “Hostels are no longer a profitable venture. I left this business for farming,” Musa who used to earn Rwf1.5 Million monthly told KT Press. The issue of idle hostels is complex in Huye because, neither the campus, nor the private operators is happy. 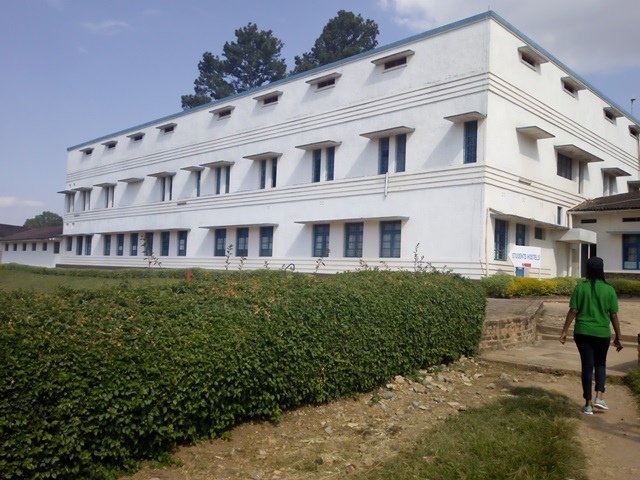 “Campus hostels have the capacity to host 4,000 students, but we currently have 1,700 students,” Innocent Nkusi, Career and Employability Services Director at UR-Huye said. “Even the few students at our campus no longer want to take our hostels,” he said. 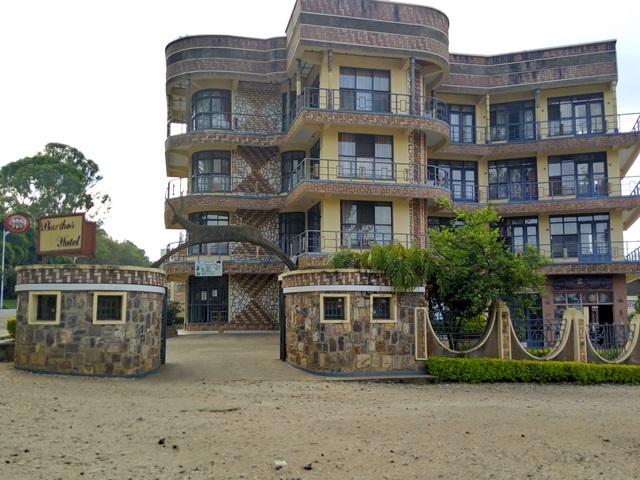 In fact, the campus has 9 hostels that were named after some cities or other important events in the world: Misereor, Cambodge, Viet, Titanic, Linda, Kiza, Nyarutarama, Vuba and Benghazi. Some like Vuba are completely closed while Benghazi is partly occupied. KT Press learnt that, many students are now opting to rent small family houses around Huye where they can get a kitchen and cook for themselves. Thus, both UR and private hostels remain idle. The problem has been extending to several sectors of life in Huye, including entertainment where event organizers have not been seeing Huye as lucrative for concerts. The Huye business community is looking forward to a revival by September when an estimated 5000 students will be relocated to Huye campus to bring the total number of students to 10,000 students.